Reduce air pollution by adopting strict vehicle-emissions standards and strict industrial air-quality standards. Improve use of public transit. Address Israel’s stray-animal situation through education and spade and neuter programs. Plan a carbon-neutral future for Israel. Promote better relations between Israelis and Jews in the Diaspora through green educational and entrepreneurial projects. 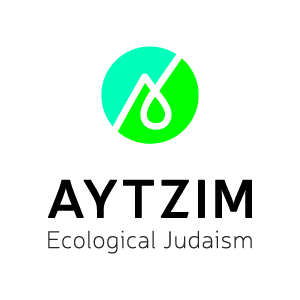 Integrate ecological education into curricula in Israel and the Diaspora. Foster interreligious and intercultural dialogue on ecological issues. Invest in organic agriculture. Encourage diets that are less meat-intensive. Reduce food waste. Improve access to affordable, fresh, nutritious and culturally appropriate food in underserved communities. Utilize more environmentally friendly farming practices. Support community gardens. Foster transformation of Israel’s energy economy to clean, renewable energy. Recognize the intrinsic value of all Israelis, and ensure fair and equitable treatment for all Israelis, including Israeli Arabs, Israeli Bedouin, and those in geographic peripheries and inner cities. Work collaboratively with Israel’s neighbors to solve environmental issues. Support intergovernmental initiatives and collaborations as they are essential to solving regional environmental and social concerns. Support a negotiated and equitable two-state solution to the Israeli-Palestinian conflict. Improve waste management through broader recycling and composting programs. Develop a seven-year green plan for Israel. Incorporate shmita into educational projects. Institute a debt-forgiveness regimen. Restore equitability to Israel’s socioeconomic structure. Pursue and encourage new environmental ideas and technologies. Build smart and green when building. Preserve and restore open spaces, natural ecosystems and threatened species. Recognize and respect Israel's diverse population. Reduce stress on Israel’s lakes, rivers and aquifers, and lower demand for energy-intensive desalinized water. Click here to see the GZA 2010 platform for the 36th World Zionist Congress. Click here to see the GZA 2006 platform for the 35th World Zionist Congress. Click here to see the GZA 2002 platform for the 34th World Zionist Congress. "Rabbi Shimon said, 'There is no plant without an angel in Heaven tending it and telling it, 'Grow!' "
75% of Israel's pollution into the Mediterranean is from direct municipal and industrial discharges into the sea.